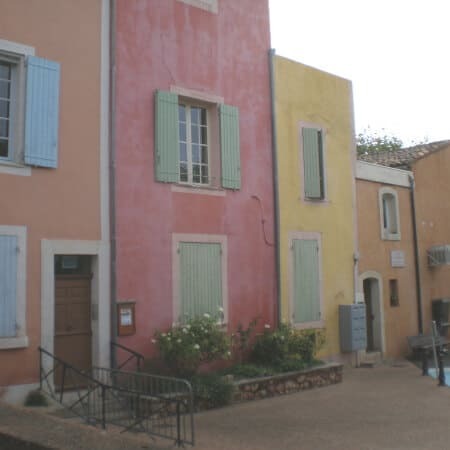 In September last year, I was invited by Mary Bonham-Carter, for a week, to teach her art group in Roussillon, just west of Avignon in Provence. Roussillon is set prettily, high on a hill and simply dripping with colour. I took a stroll into the ochre cipro mines and drooled over the shades of gold, yellows, sepias, umbers and ochres. It put me in mind of Perta in Jordan. Happily ( as I had such a great time with them) I have been invited back this spring, this time for two weeks, whoopee!